Oh God, I really needed a tropical summer vacation away from Raincouver to soak in the sun with a margarita in my hand. 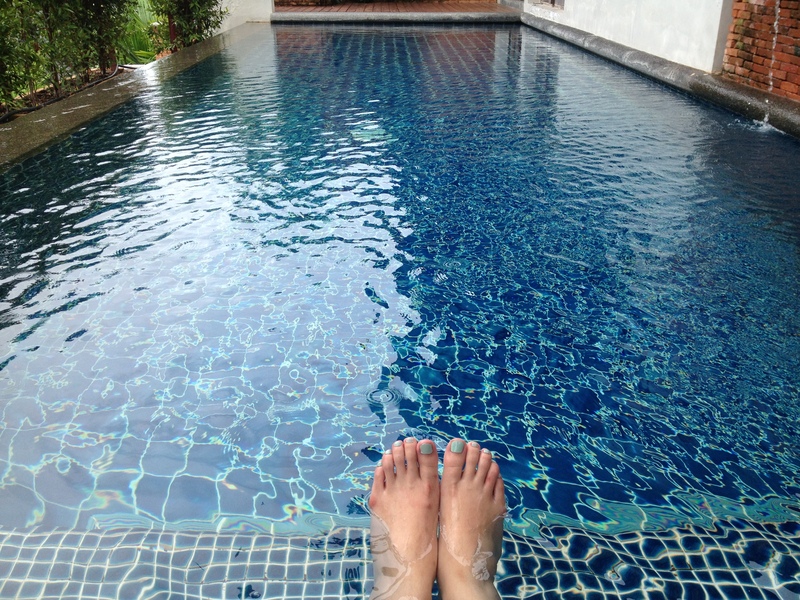 For a week in June 2013, I went to Koh Samui with my family for some tanning, scuba diving and stress-free time. Samui or usually known as “Koh Samui” is an island floating off the east coast of Kra Isthmus in Thailand, where many people fly over away for a more isolated island trip as well as the Full Moon Party. You know you’re up for an exotic adventure once you get off at the open air Samui Airport with their bamboo and wood infrastructure and massive ceiling fans. Regardless of it being outdoors, I didn’t get any mosquito bites. 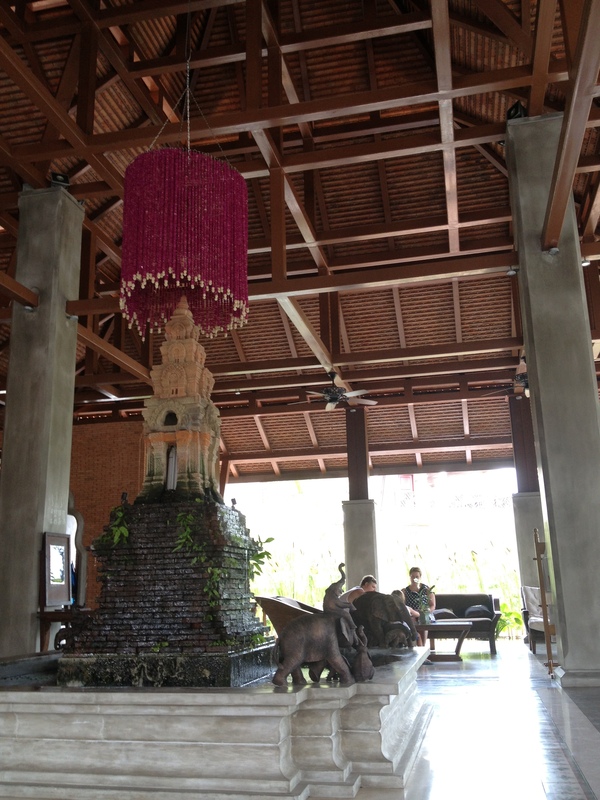 Our first hotel was at Muang Samui Villas and Suites right next to Choeng Mon Beach and a 15 minutes drive from the airport. 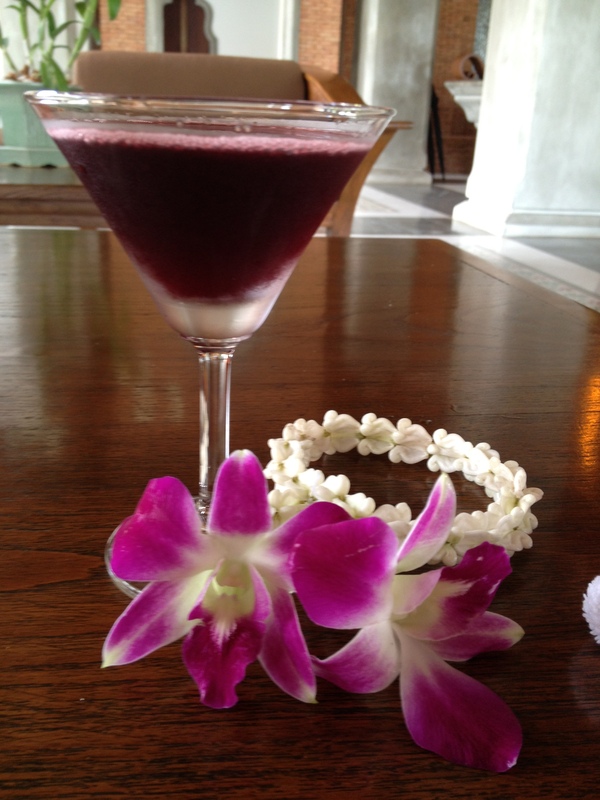 Like most tropical resorts, you can choose to travel around the villa in a golf cart or by walking. The villa is also located right next to the beach which is a 10 minute walk from your hotel rooms. 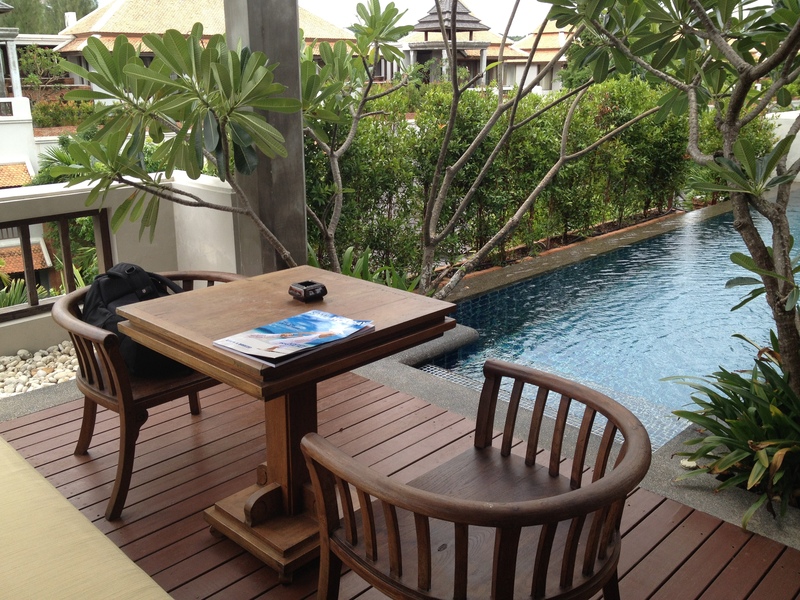 The villa also has its own swimming pool and restaurant, so you can pretty much spend your whole vacation there. In addition, there will also be a night market once a week outside the streets of the hotel with tons of exotic merchandise, jewellery, food, and souvenirs. A very South-east Asian lobby with a bamboo roof, marble pillars and floors that cool down the space from the outside heat. We got ourselves a private pool! The pool was connected to the master bedroom. Since I went with my family, we booked the family suite located at the top of each villa with a private swimming pool, two bedrooms, one bathtub/hot tub, and an outdoor mini kitchen. Our villa was a 5 minute walk from the restaurant, public pool, and beach so we didn’t need to call the golf carts at all. Here’s a Vine I made of the family suite. The only restaurant at Muang Samui was Spice Zone Beach Restaurant which had an impressive menu of Chinese, Thai and Western cuisines. Since our stay was short at Muang Samui, we basically stayed there to eat since we weren’t so confident about street seafood. At Spice Zone, we also enjoyed dining on the beach at night and I got to do something on my bucket list: let go of a floating lantern. 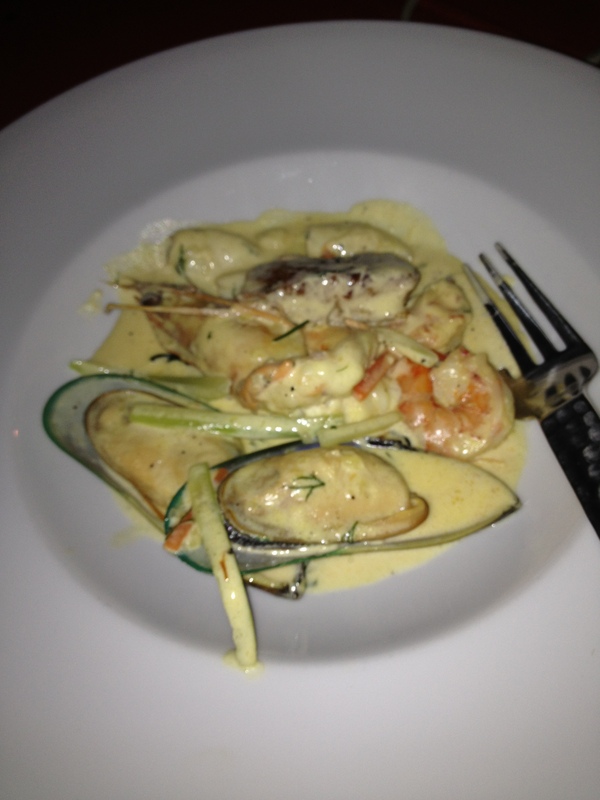 On our last night at Muang Samui, we had dinner on the beach and I ordered Seafood Delight with mussels, shrimp, baby cuttlefish, tiger prawns, sea bass and lobster executed with a white wine seafood cream sauce. The portion looks small but this was a heavy dish and definitely fit for all the seafood lovers with a rich and buttery sauce. 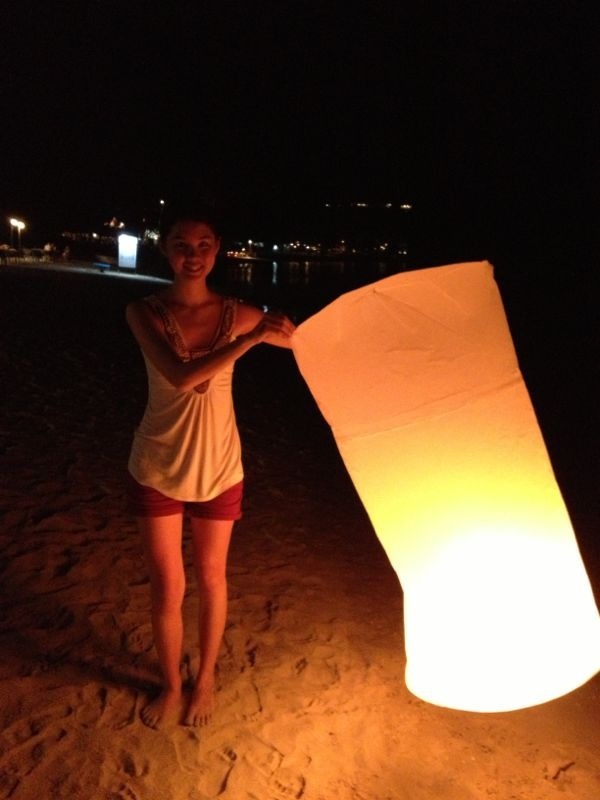 I finally got to let go of a floating lantern and I made a wish. What a memorable experience. 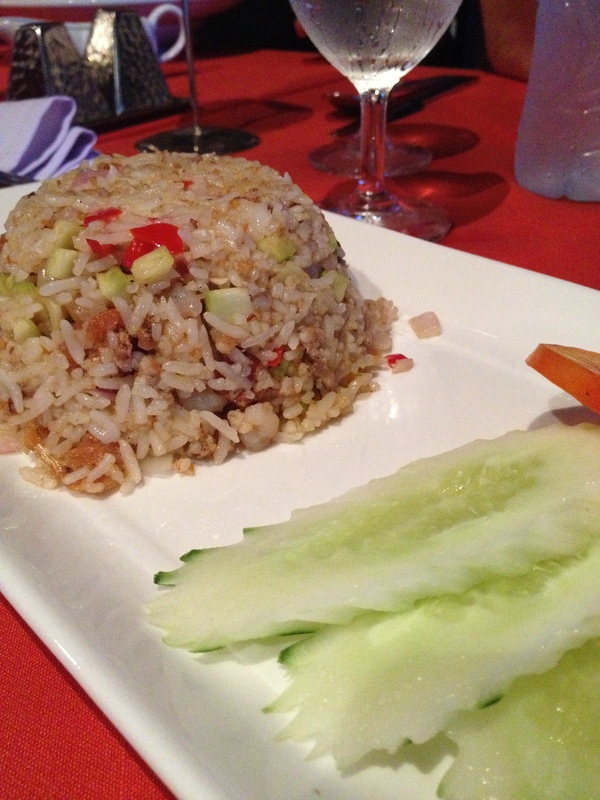 Ah yes, of course I had to order the authentic Thai dishes and this one is Shrimp Paste Fried Rice tossed with peppers, onions and shrimp with a side of sliced cucumbers and tomatoes to clear your taste buds while devouring this delicious aromatic fried rice. 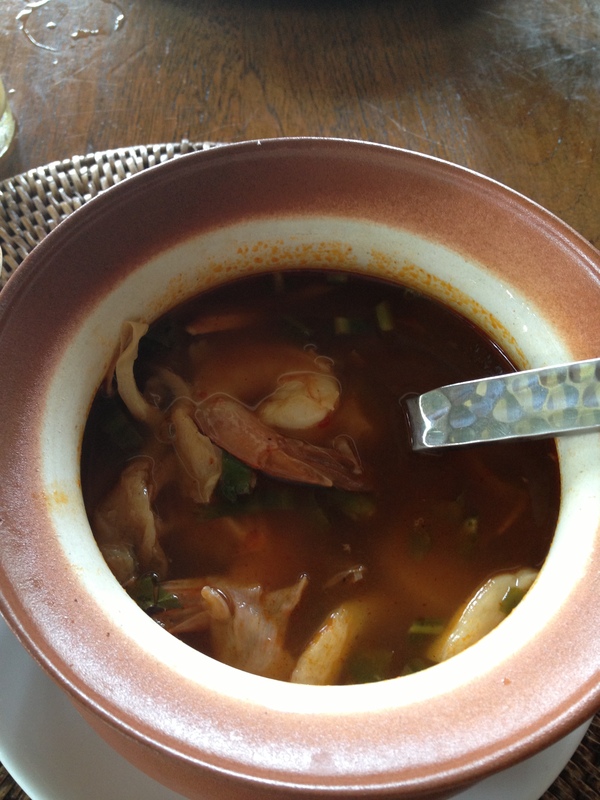 Another Thai dish I had to order was the famous Tom Yum Goong and it was incredibly pungent. Each family in Thailand has their own recipe for this soup with shrimp, oyster mushrooms, lime leaves, chilli and lemon grass creating that hot and sour sensation with a burning after effect in your stomach. I love spicy food and this soup was the absolute bomb that I needed. 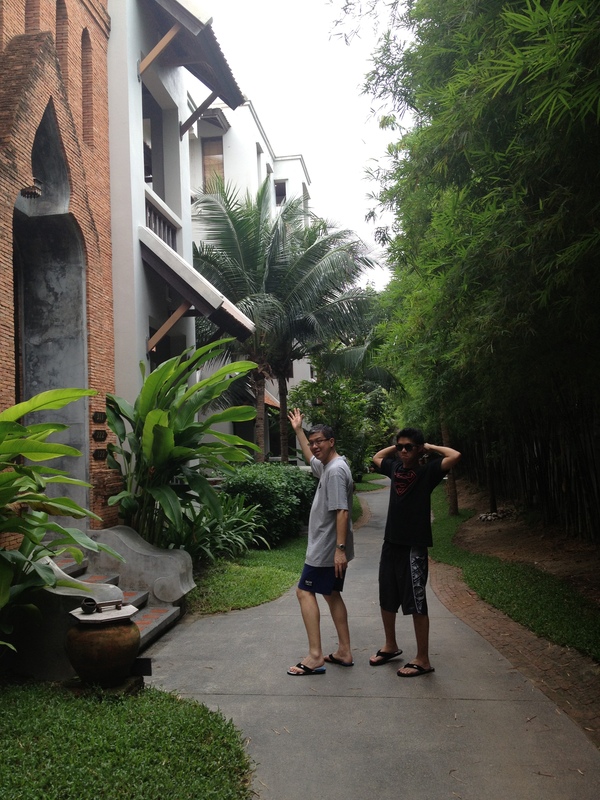 Narrow walkways and tall villas – my dad and my brother in this photo.